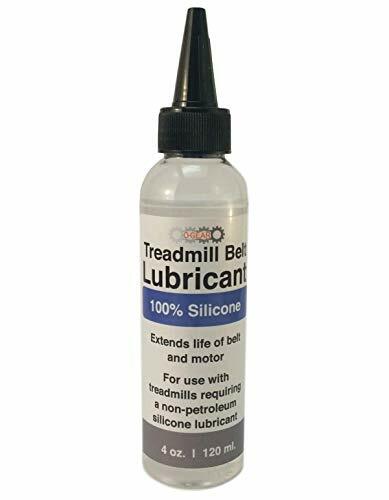 This easy-to-apply silicone lube for treadmills is perfect for: A) reducing treadmill belt noise, B) reducing treadmill friction, C) helping to breathe life back into your treadmill that has sat unused for months (hey, it happens to all of us! ), and D) regular treadmill maintenance - increasing the lifespan of your treadmill and reducing the need for expensive maintenance and repairs. Always check your manual first for machine compatibility. 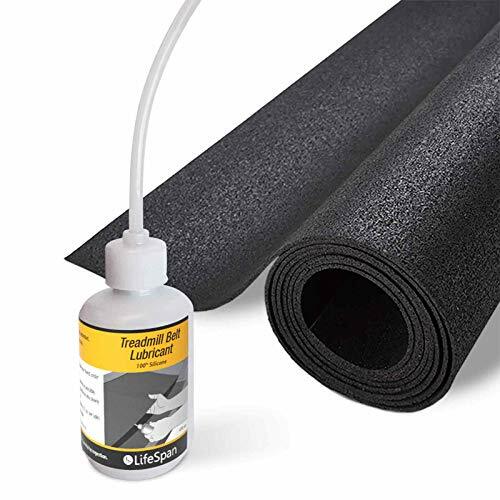 Though there are other options for treadmill belt lube out there, we've worked hard to optimize this product with a number of key features. We've got an EZ-Squeeze bottle and adjustable applicator tube spout allow for precise lubricant application under the belt of your treadmill - no need for an expensive wand kit. Pump spray heads are difficult to control and can't be held at certain critical angles, making lubricating your treadmill mat a workout in-and-of itself. 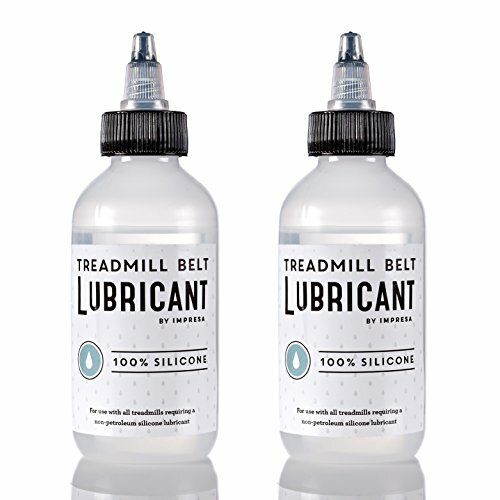 Our thick, high-quality 100% silicone lubricant lasts longer than other treadmill lubricants, which can feel watered down, can be difficult to apply and drip all over. Our product is made entirely in the USA by an employee-owned company. Ideal for all treadmills requiring non-petroleum-based, oil-based, and silicone-based lubrication. Whether you are walking or running, this will keep your treadmill in tip-top shape! 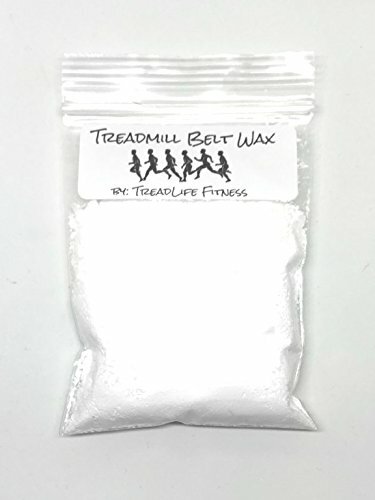 100% SILICONE, IDEAL FOR A WIDE RANGE OF TREADMILLS/ELLIPTICALS : 100% silicone treadmill belt lubricant, specially formulated for an array of treadmills/Ellipticals (home / personal, commercial / gym, compact, folding, etc.). Just the treadmill lube / treadmill oil you need! WORKS WITH MOST BRANDS: For Nautilus, Epic, Horizon, Landice, Life Fitness, LifeSpan, New Balance, NordicTrack, PaceMaster, Precor, ProForm, Smooth, Spirit, True, Vision, Sole, Fuel, Lifestyler, Sportcraft, Star Trac, Weslo, Woodway, Schwinn, etc. 100% SILICONE LUBRICANT Completely non-toxic,stability, high temperature performance -nonflammable, chemical inertness and excellent lubricity under various conditions. MULTI-PURPOSE&UNIVERSAL COMPATIBILITY High-quality silicone treadmill oil is suitable for almost any brand or model of compact or folding treadmills in personal or commercial gyms external parts for wheels, casters, sliding doors, chains, hinges, nuts and bolts, bicycles, wheels, fans and many other moving parts. EASY TO APPLY The long applicator tube design allows you to reach the deep or small areas that your hands can't reach. Making your use easier. SUPER LUBRICATE Protect your equipment from costly repairs by reducing friction. SATISFIED GUARANTEE We provide you with the best quality products and the most attentive service,If you have any problems with product, please contact with us free and we will send replacement or full refund with no questions. Help keep your Treadmill in ideal condition using Life Span Fitness 100% silicone Treadmill belt lubricant. Proper lubrication on the underside of the Treadmill belt is mandatory to reduce heat and friction, extending the life of the motor, electronics, belt and deck. Lifespan's Treadmill lubricant contains no hazardous solvents and is colorless, odorless, non-toxic and nonflammable. This bottle comprised of 4 oz. of lubricant for treadmills is good for four applications. Or one year of normal Treadmill maintenance. STEP 1: Lift left side of treadmill belt and disperse 1 tsp under the belt. STEP 2: Repeat on right side of belt . STEP 3: Walk on treadmill for 1-2 minutes to help disperse the wax. LIMITED TIME OFFER! BUY ONE GET ONE FREE!! $12.95 is the price of one bottle - 250 ml (8.5 oz). 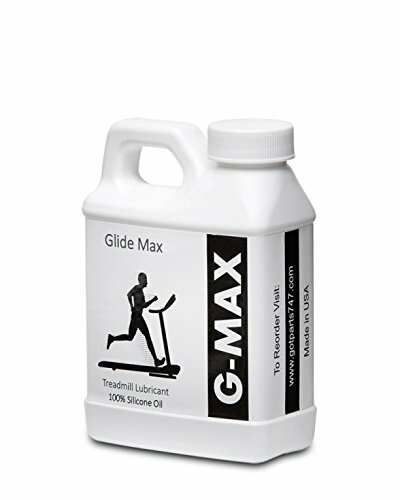 Treadmill Silicone Oil Lubricant. Proven performance for all treadmill types. 100% compatible with belt and treadmill material. A few drops and 10X reduction in friction coefficient extends the life of your treadmill. High purity. Made in USA. NSF and FDA approved food grade lubricant. Proven performance for all treadmill types.100% compatible with belt and treadmill material. A few drops and 10X reduction in friction coefficient extends the life of your treadmill. High purity. Made in USA. NSF and FDA approved food grade lubricant. We are committed to providing you with the best quality service at the best price, using our lubricant to lubricate the treadmill regularly extend belt and motor life and reduce noise, , eliminate belt hesitation and keep you and your treadmill in top condition. Make your workout safer and more enjoyable. STEP 1: Lift right side of treadmill belt and apply 0.5oz underneath the belt . STEP 2: Repeat on left side. STEP 3: Walk on treadmill at 2MPH for 1 minute, this will help disperse the lube under the belt. It's recommoned to apply the lube in the front of the treadmill, this is where you land on and where it needs to be lubricated most. We recommend lubricating a treadmill every 3 months or 150 miles. Genuine Original Equipment Manufacturer (OEM) parts! 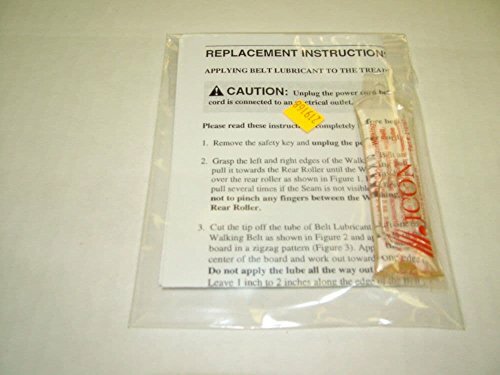 This walking belt lubricant (part number 219168) is for treadmills. Walking belt lubricant 219168 minimizes wear and tear by reducing friction between the walking belt and walking board. Follow the instructions in your owner's manual when using this part. For Proform & Weslo. 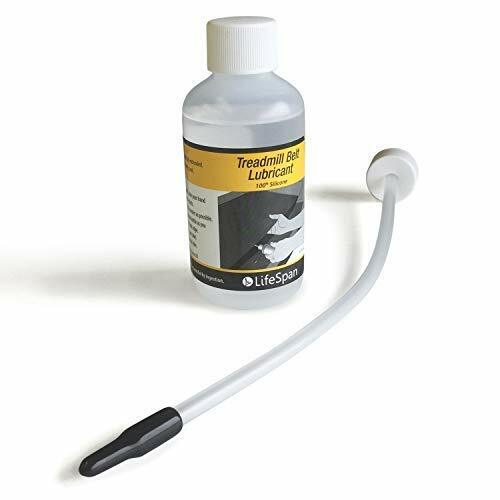 This easy to use 100% silicone treadmill lubricant comes capped with a precision twist spout dispensing top for general purpose lubricating. The bottle is completely compatible with our Easy To Use Applicator Tube Cap. It is designed to slide under the treadmill's belt for complete belt width lubrication with no need to loosen the belt, or can be used as is. Most other brands there tube isn't long enough. Our Applicator reaches all the way to the middle of the belt unlike other brands. We have spent 2 years developing and improving the applicator to make it the most sought after applicators due to is simplicity in lubricating your treadmill. This is Non-toxic and odorless, this lubricant is ideal for all treadmills requiring non-petroleum silicone based lubricant. Protect your equipment from costly repairs by reducing friction between the belt and deck. Regular lubrication reduces noise, extends both belt and motor life, eliminates belt hesitation, and makes your workouts safer and more enjoyable. The silicone lubricant comes packaged in an easy squeeze 4 ounce bottle that provides 1 year's worth of applications. 100% Money-Back Satisfaction Guarantee. Made in the USA. It Keeps you and your treadmill working in tip top shape! Featuring the tools you need to keep both your treadmill and your fitness room in top condition, this starter kit helps you get the most out of your exercise equipment. The kit's treadmill mat offers 2mm of soft padding to protect your hardwood and tile flooring against the unsightly scratches and gouges caused by heavy treadmills, and provides a safe resting place for your machine. The kit also keeps your treadmill's belt running smoothly, with a bottle of 100% silicone lubricant. Protect your floor and your fitness equipment. Mat is light (17lbs.) and 2mm thick. Bottle, if used properly, will last 6months-1 year. Coastal Colors 100% Pure Silicone Oil Treadmill Belt Lubricant 4 oz. This 100% pure medium viscosity silicone oil (no petroleum) is great for both home and commercial treadmill models. 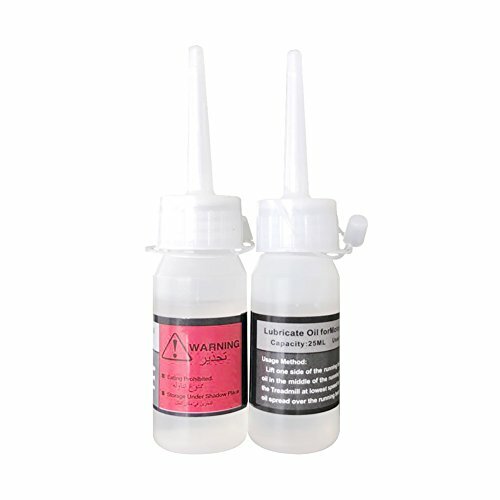 100% pure medium viscosity silicone oil. No petroleum distillates to damage treadmill parts. Odor free. Comes in an easy, no-mess 4-ounce squeeze bottle. Works with any brand of treadmill including Schwinn, Nautilus, Woodway, Star Trac, Weslo, Life Fitness, New Balance, Life Span, NordicTrack, Precor, PaceMaster, Smooth, True, Spirit, Landice, Epic, Horizon, etc. Great for home/personal and compact/folding, as well as commercial/gym models. 100% pure silicone liquid, formulated for running treadmill belt lubrication. Extends the life of the machine by reducing friction between treadmill belt and deck, decreasing wear on these critical parts and minimizing stress on the motor. For use with running treadmills that specify a non-petroleum silicone lubricant (check with your treadmill's manufacturer). Also works great to keep the belt flexible when applied before extended storage periods. Suitable for home and commercial gym application. Contains 4 applications in easy squeeze bottle. Directions: From one side of treadmill, lift belt away from deck by hand. Apply a bead of lubricant from the center of the deck, moving toward the edge. Repeat application on opposite side. Run treadmill for approximately 1 minute to evenly distribute the lubricant evenly alone the entire belt. Use 1 oz of lubricant for application (1/8 bottle per side). Safety: Lubricant should be applied only to the underside of the running treadmill belt, never to the outer running surface. Turn off treadmill and remove plug before for safety, never apply to a running treadmill. Say GOODBYE TO THE SQUEAK! - One benefit of regular use of TREADEEZ is the diminishing of the repetitive SQUEAK, SQUEAK, SQUEAK on your treadmill or elliptical machine. 100% Silicone - Check your owner's manual because many manufacturers prefer silicone lubricant like TREADEEZ because it is not greasy, goopy, goppy, gelly, or gross. It provides a fine (light) lubrication without degradation to moving parts and rubber. INCREASE SAFETY - Treadmill belt hesitation is dangerous, so regular application of TREADEEZ between the belt and platform can provide a smoother exercise without worrying about an unexpected pause in the belt movement. PROTECT YOUR EQUIPMENT - Let's face it, exercise equipment can be expensive. Use of TREADEEZ can help reduce the friction between the belt and platform, extend both motor and belt life, and make your workouts more enjoyable! EASY TO USE - The precision spout and easy to squeeze bottle make applying to your treadmill belt or elliptical machine very easy. EASY TO STORE - The twist off cap allows you to keep extra TREADEEZ in stock for the next application. CAN BE USED FOR PAINTING TOO! - TREADEEZ 100% Silicone Lubricant can be used for acrylic fluid art painting. Now if we could get pictures of customers on treadmills and painting at the same time (please be careful! ), that would be fun! 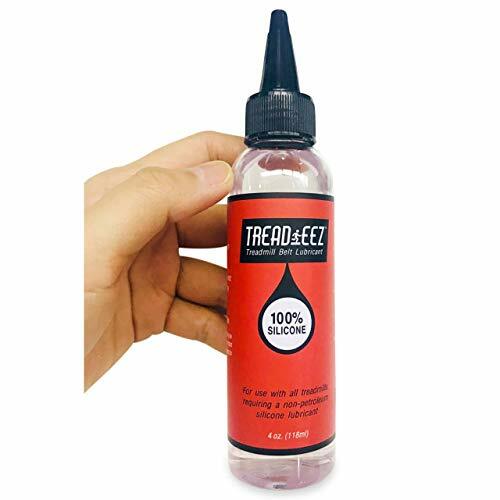 NO MORE SQUEAKING - TREADEEZ 100% Silicone Lubricant provides a non toxic and odorless way to reduce aggravating noise and provide a smooth treadmill belt ride and seamless elliptical machine track movement. 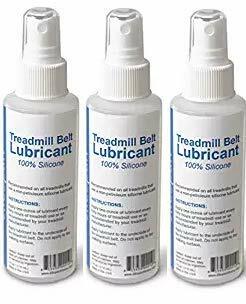 EXTEND BELT AND MOTOR LIFE - TREADEEZ 100% Silicone Lubricant reduces friction between treadmill belt and deck and between elliptical machine wheel and track. Avoid costly repairs to your exercise equipment with this easy to apply lubricant that quickly disperses under the belt. EASY TO USE - Instructions are printed directly on the bottle so you'll never lose them! Comes with twist off cap, precision spout, and easy to squeeze bottle. Note: 1 oz of TREADEEZ is typically used for each application. 4 oz is sufficient for normal use for a year (applied every 3 months), while the 8 oz bottle is recommended for higher use, multiple machines, or just to have enough on hand! LIFE HACKER TRICK - TREADEEZ Silicone Lubricant can also be used for acrylic pour painting! MONEY BACK GUARANTEE - We are confident that you will have a great experience with TREADEEZ Silicone Lubricant. If TREADEEZ fails to live up to your expectations, simply return it for a full refund.